Bucking the trend at many colleges of upperclassmen moving off campus, there are unprecedented numbers of students moving onto the GCU campus in late August, including the rapidly growing east side. They are drawn by safety, accessibility, affordability and, perhaps most importantly: community. 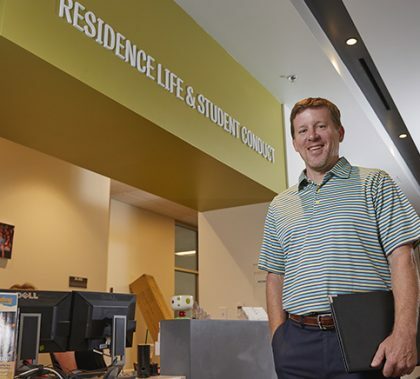 Within the residence halls and apartments, their Resident Directors and Resident Assistants are helping them make friends and their Life Leaders offer Bible study.